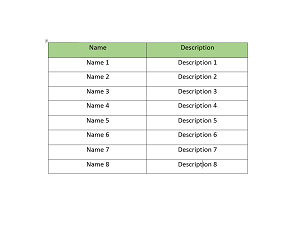 Create new or open existing table in Word document. 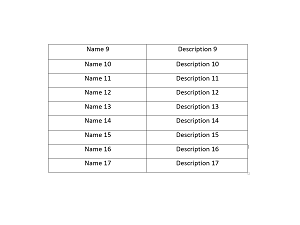 In first row enter any text, which will represents the header of the table. 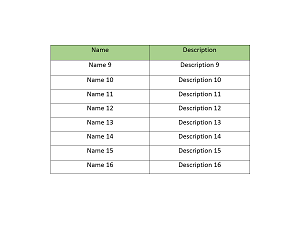 If the table spans over multiple pages, then in the case of large amount of data we can not see exactly which column belongs to a certain data. This can be solved if we go into first row where the header of the table is. 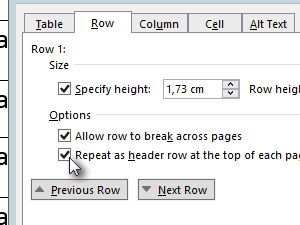 Mark Repeat as header row at the top of each page checkbox. 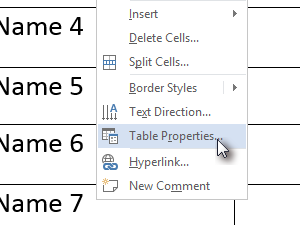 Now if we look at our table, we can see that the first row of our table, which represents the header, has automatically displayed on new page.